This blogging thing is a lot of work. I see some of the other blogs looking really attractive. Hopefully, someday, mine will be as nice. I never realised that so much time was invested just in getting the layout quite right. Stay tuned, I promise that I will figure out how all this works. With many students being preoccupied with the upcoming hockey playoffs, tomorrow, I like to plan a few lessons accordingly. 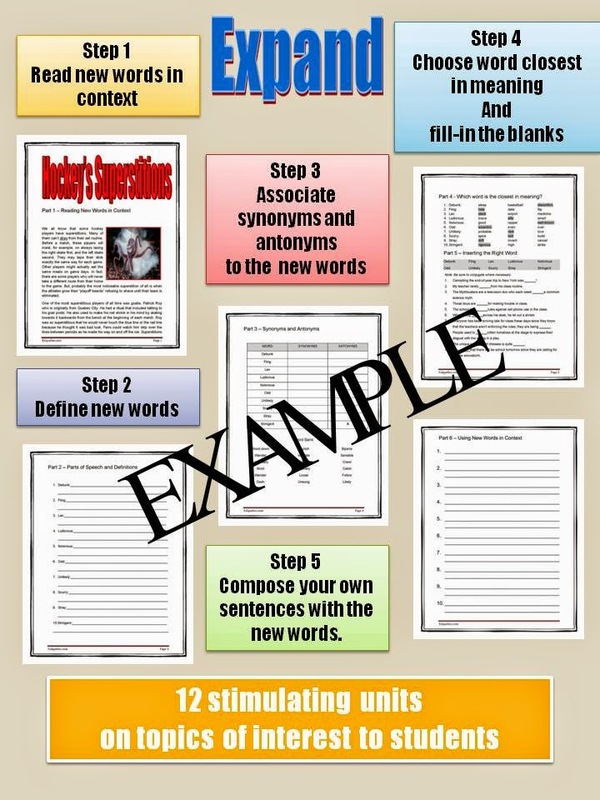 Be sure to check out my video comprehension exercises on my website at http://www.eslquebec.com/ in the PRACTICE section. I have a video starring P.K. Subban and Lars Eller, two forces of the Montreal Canadiens team. 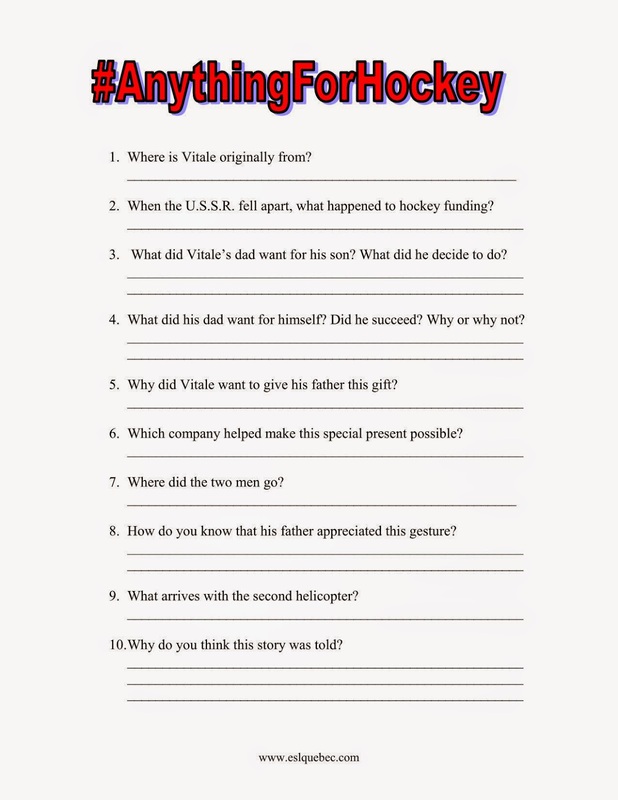 I also have a Molson video about Vitaly which is hockey themed. You can also check out the hockey resources on Teachers Pay Teachers here. 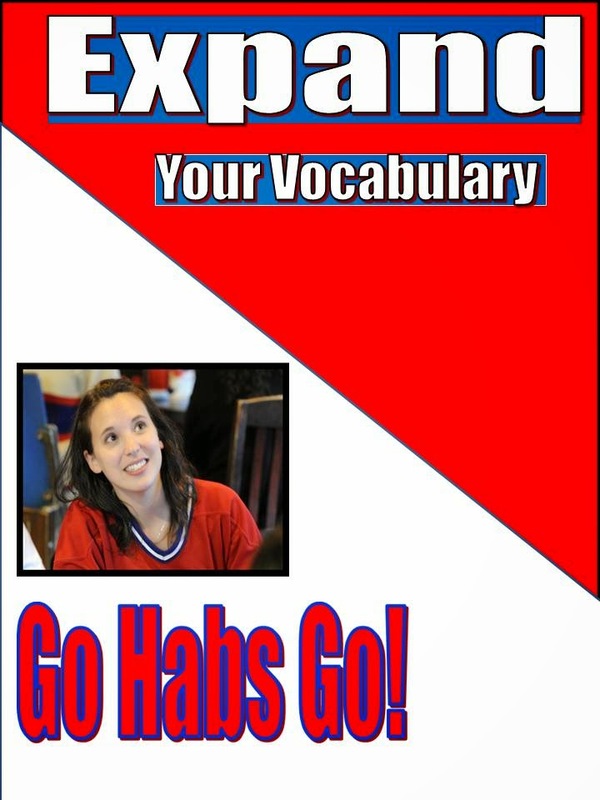 Be sure to look at the EXPAND Your Vocabulary units: Go Habs Go! 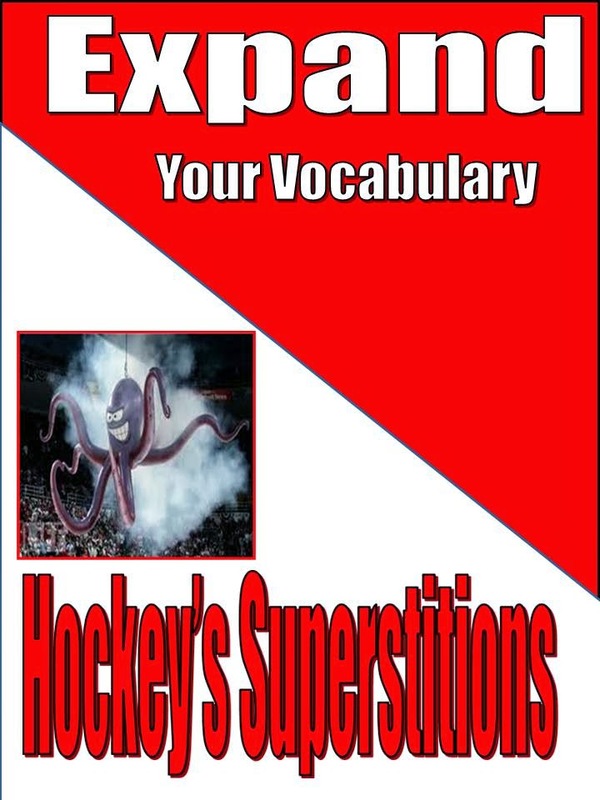 and Hockey Superstitions, to read about the Montreal Canadiens, The Detroit Red Wings, The Tampa Bay Lightning and other teams. 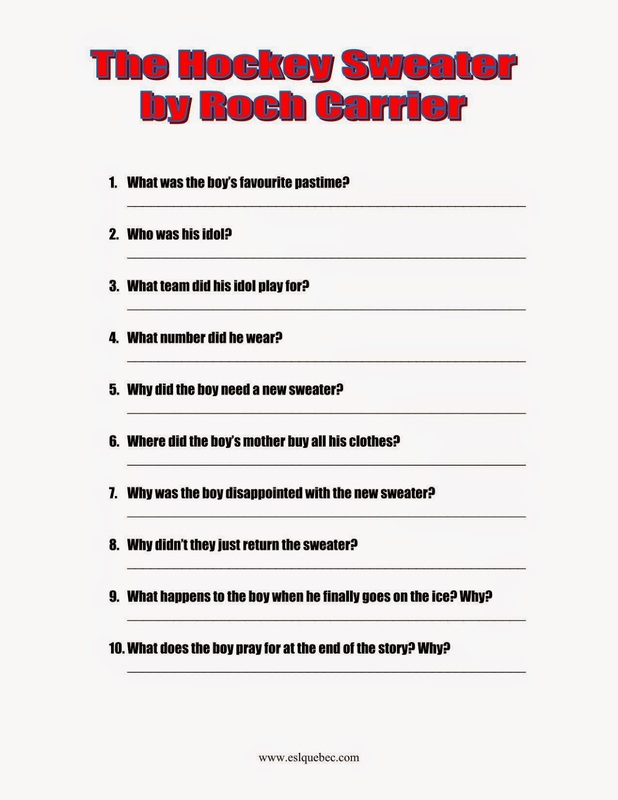 Finally, a great lesson to teach around this time of year is Roch Carrier's The Hockey Sweater. 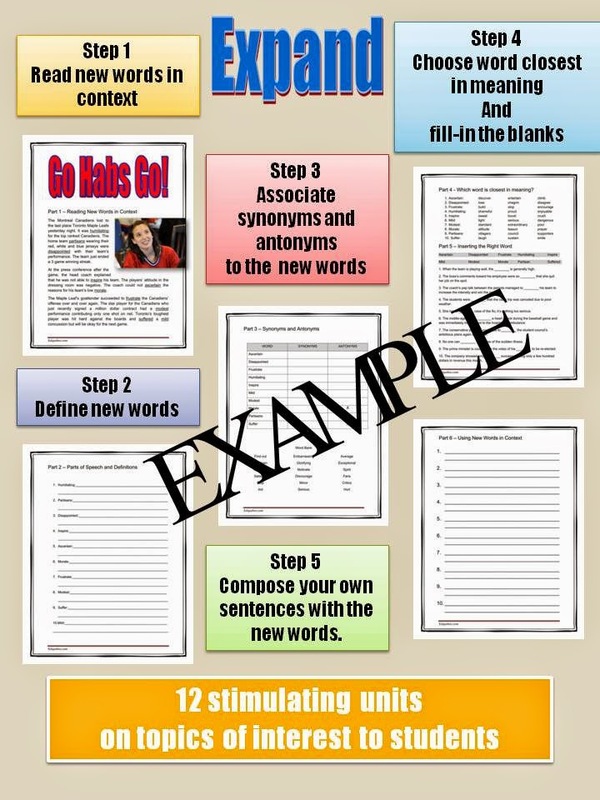 Be sure to check out the video and comprehension exercises on my site. Keep coming back for more ideas, or follow us!